Most of us have had enough of the typical Hallmark-style Valentine's Day card (not that there's anything wrong with them). For couples and romantic singles with a sense of humor or an unconventional approach to romance, there are fun and creative cards like these! Sure, some of them might not be the most romantic cards out there, but you've got to give them to the right person for them to be effective. If there's a pant-nullifying Valentine's Day card that you think we've missed, you can add it to this list and vote for your favorites as well! A valentine card for Norman with love from the Cat Lady. hubbie would appreciate this one! DAMN LIKE MY ROOM AM I RIGHT? Did Ned Flanders make this one?! This is just true love! 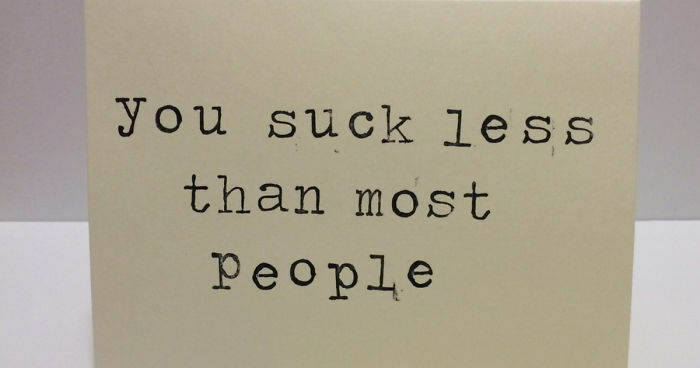 I've gotten this card - from men. Duh-oh. But if it bombs as a Valentine try again on Presidents Day.